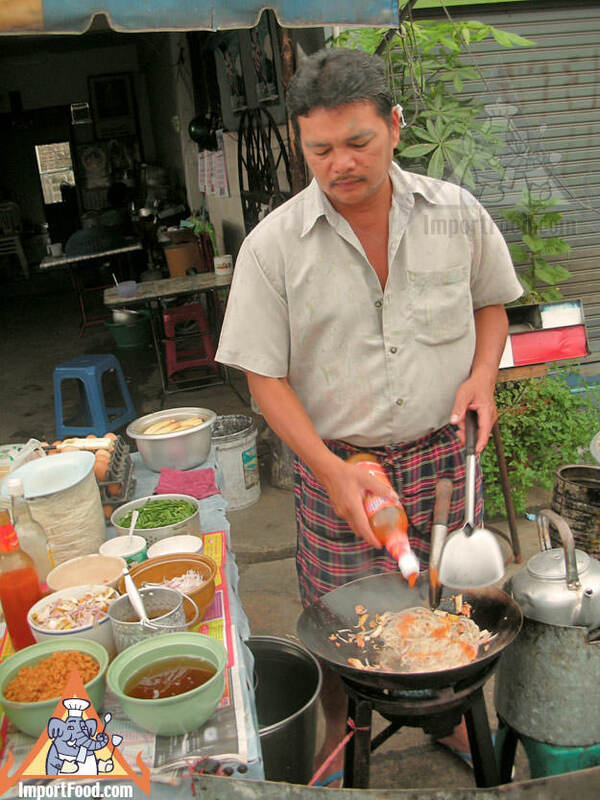 Here is a Pad Thai specialist in Bangkok who makes it every evening in front of his home. It's fresh, delicious, inexpensive and made-to-order. 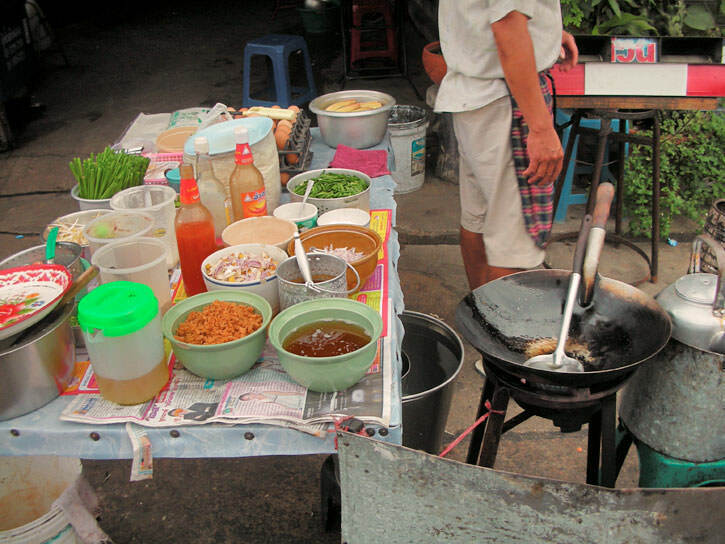 Pad Thai takes a fair bit of energy to make, and that may be one reason why it's often made by vendors in the evening, after the hot sun goes down. Every evening about 5:30, an hour before dark, this guy puts a huge pile of fresh bean sprouts on a table in front of his house, where it serves as a message that it's almost time. 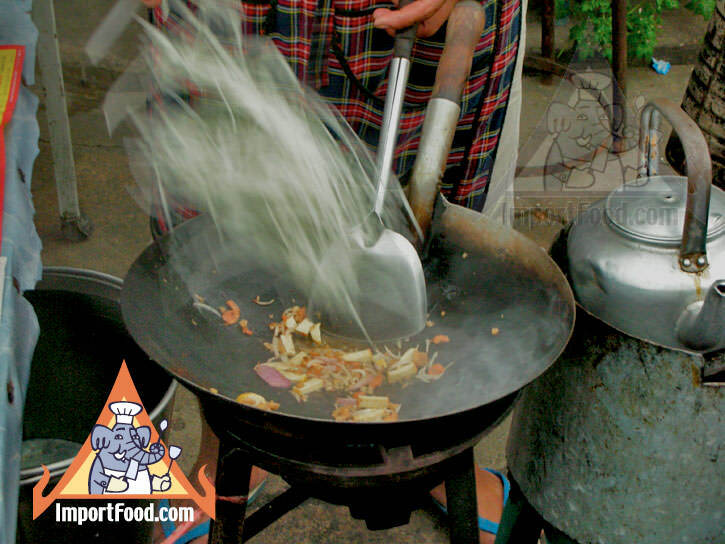 He then sets out his portable gas burner, water pot, and all ingredients out on a table and fires up his wok for a night of cooking. Starting with a bit of oil, he stir-fries the dried shrimp, shallot and tofu before tossing in a handful of rice stick noodles. He then adds a generous amount of water from the teapot, and cooks it all together over fairly high heat. 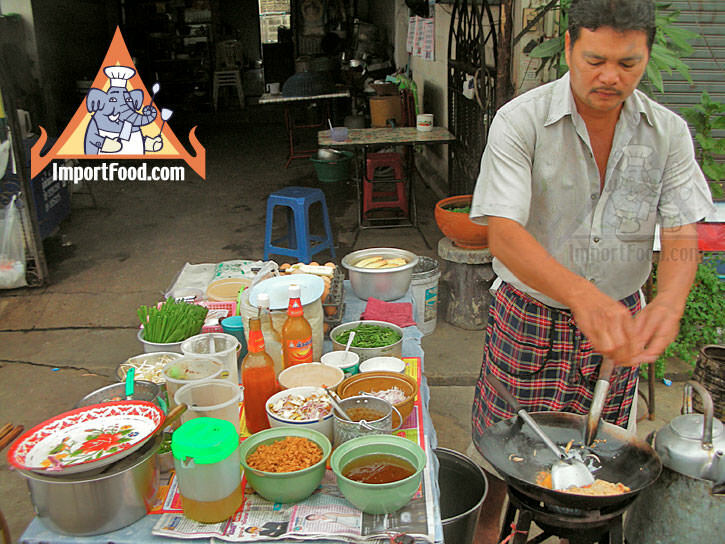 During the cooking process he adds fish sauce, tamarind sauce and palm sugar. The next ingredient, which is one of the "signatures" that defines his Pad Thai as unique from others, is the addition of sriracha sauce (see picture). A tad bit more water and fish sauce is added, before the Pad Thai is moved off to one side of the wok to make room for the egg. 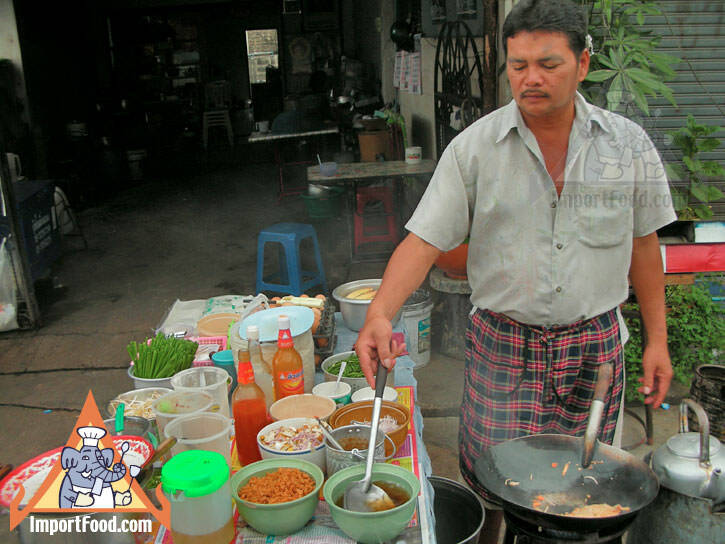 He doesn't add fresh shrimp, chicken or any other meat to the Pad Thai. After the egg is added, a generous serving of bean sprouts are added, and he folds it all together & serves it to-go wrapped up in a large piece of paper with plastic coating on one side. Crushed peanuts and spring onion are served separately. 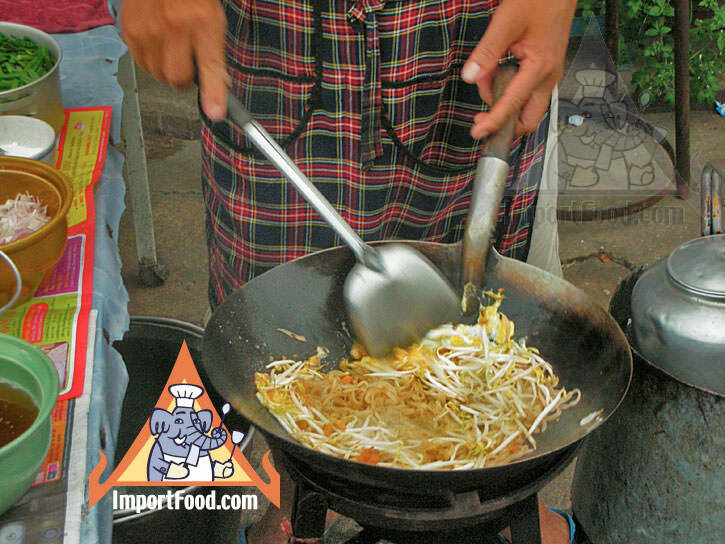 Try making Pad Thai at home and develop a signature flavor of your own. We have an excellent Pad Thai recipe to help you get started.